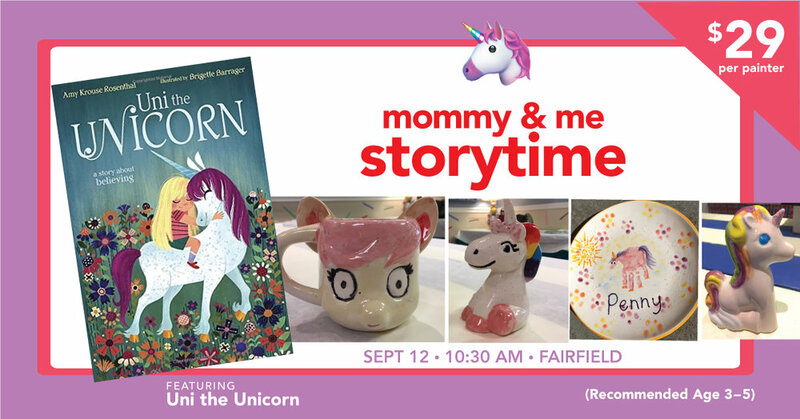 Kids can listen to a story and paint a special unicorn pottery piece. If for whatever reason, you can't make it to the event, please as a courtesy, let us know because limited space is available. Looking forward to a good time! Payment can be processed the day of the event. Happy Rosh Hashanah - We're Open!